You stick to the schedule. You regularly test the water of your hot tub, and you perform a weekly shock. You always make sure to turn on the jets and run them for 15 to 20 minutes after putting in chemicals. But then you went on vacation for two weeks. 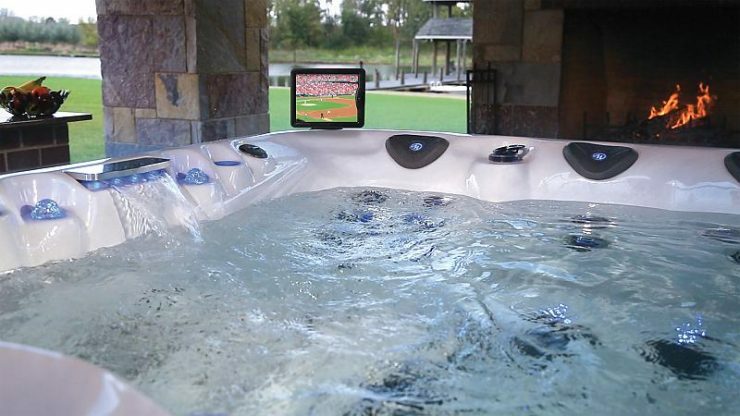 Or, maybe your high school son invited the entire football team to hang out in your six-person hot tub from Master Spas. Whatever the reason, the water in your hot tub doesn’t smell like it normally does. The clean, crisp and refreshing smell has been replaced with a chemical one. Just like dropping a glass or stepping on a Lego, things sometimes happen. Unpleasant things. Don’t worry, though. You don’t have to perform advanced equations. Just as with routine maintenance, you’ll test the water — looking to see whether the water pH is too low or the chlorine is too high. Once you have uncovered the reason, you can make the appropriate adjustments and enjoy your hot tub safely. Keep reading to find out how to balance the water and get rid of the chemical smell. We like to test the water of a hot tub with a testing strip, which you can find at your local Master Spas dealer. Our favorite testing strips measure a variety of chemical levels, not just pH or chlorine. The pads on the strips change colors when you dip them in the hot tub water. To avoid faulty test results, use care when removing a testing strip from the packaging. Open the package and shake one strip out into your hand, avoiding contact with the remaining strips. Seal the container immediately so the remaining strips are not exposed to moisture. Dip the test strip into the water and follow the instructions supplied with test strips as instructions may vary. Note the colors on your testing strip and compare these to the key found on the packaging to determine whether elements are neutral, too high or too low. Always test the water before using. Add a non-chlorine shock or oxidizer after each use. Use a non-chlorine shock or oxidizer once a week to help maintain the water quality. 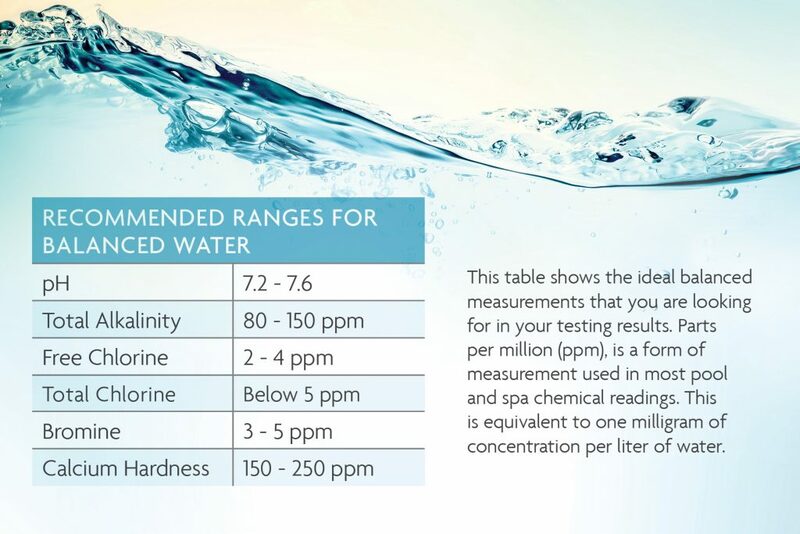 Know how many gallons of water your hot tub holds. You can find this information on the product page or in your owner’s manual. Make sure to keep chemicals on hand to balance the water. There’s nothing worse than wanting to use your hot tub but not having the right products on hand. Always refer to the dosage recommendations from the chemical manufacturer. You can find them on the packaging. Everyone reacts to chemicals differently. How often you use your hot tub and how many people use it can affect the water quality. Have your chemical reading? It’s time to get rid of the chlorine smell. If the pH is too low, you’ll want to add a ph Up product. Make sure all of the therapeutic jets are on and sprinkle the pH Up over the entire surface of the water. Follow the manufacturer’s recommendations for the amount. Always wait 30 to 60 minutes after adding a product to the water. Re-test and continue the process until levels are within range. Make sure to keep your hot tub cover off during the process. With the water balanced, it’s time to get in. Take a deep breath and relax. Happy hot tubbing! For more tips on taking care of your hot tub, go to www.youtube.com/MasterSpas.